Curtains can get expensive, especially when you regularly change them out. Throwing those old unused curtains away is really not safe for the environment and it can wreak havoc on your bank account. Instead of tossing out your curtains when you want to change them, how about repurposing them? 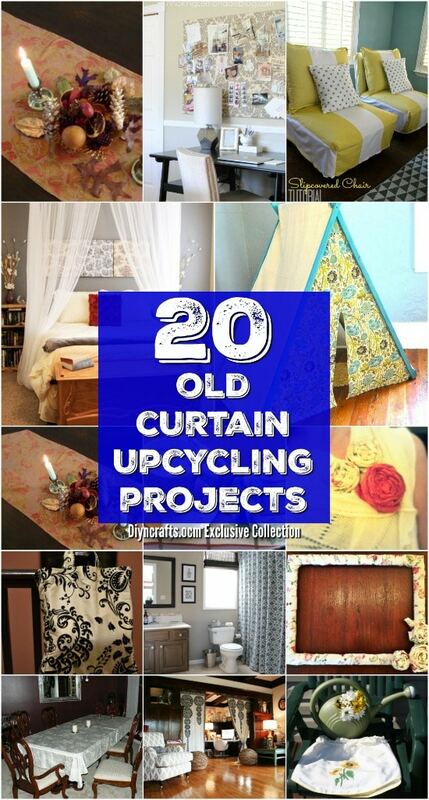 I love repurposing projects and these 20 ideas for using old curtains makes me very happy. You can do so much with old things – turning them into something fresh and new. 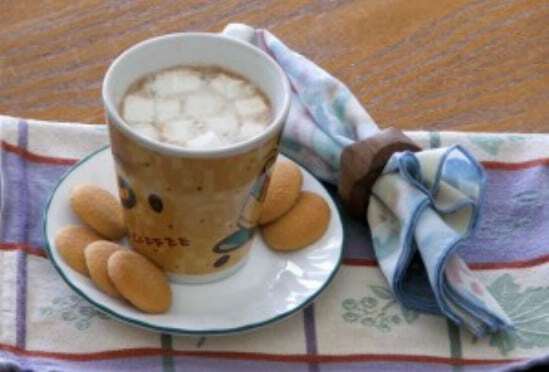 I always look for ways to repurpose old things, like these 20 creative ways to repurpose old chairs. If I could, I would repurpose everything that I throw away, which would make my garbage man’s job much easier. I just can’t get enough of these great curtain reuse ideas. There are ideas in here for turning your old curtains into a bed canopy, which is a really romantic look for the bedroom. And, there’s even a way to make those curtains into a beautiful baby quilt. Curtains are basically long strips of fabric, so you can probably think of many ways to reuse them. If not, I’ve got some wonderful ideas for you. 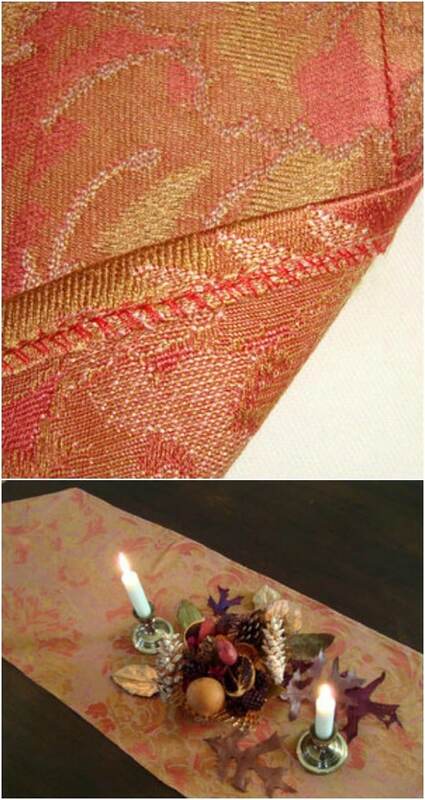 You could make a table runner with matching cloth napkins or chair covers with matching pillow shams for the couch. 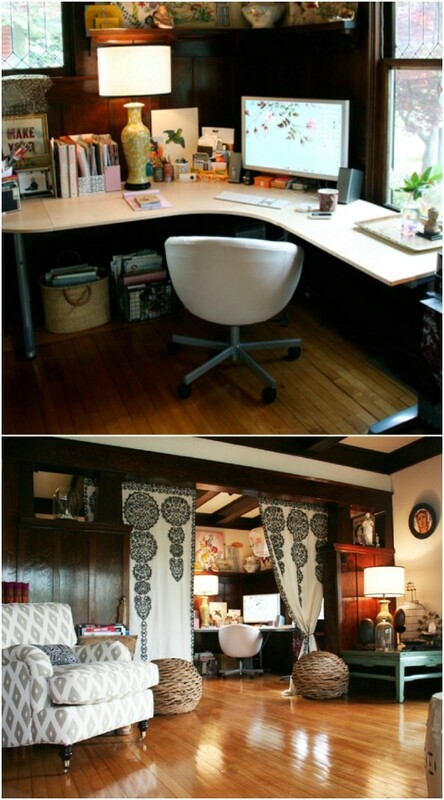 The possibilities are endless with how you can repurpose curtains. Since they are fabric, you can find a lot of ways to reuse them in my 100 projects to upcycle leftover fabric scraps. Just cut them into scraps and use them for any number of home décor projects. Even if you don’t have old curtains to use with these projects, you can pick them up at any thrift store for a couple dollars each. Some of these would be great with those sheer panels that you can find on clearance at the Dollar Store for about $2 each. Imagine the things that you can create for your home for just a dollar or two! I hope you’re excited about these repurposing projects – I know I’m excited to show them to you and I hope you share what you’ve made! I have always loved canopy beds but never actually bought one. They’re a bit expensive. 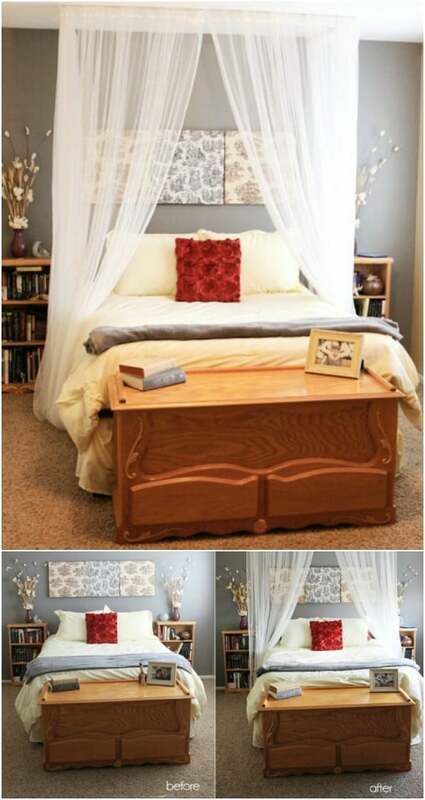 Instead of purchasing an actual canopy bed, you can use those old curtains to make your own bed canopy. Sheer curtains work really well for this. You just attach them to the ceiling on a rod and they hang down over the bed. This is a beautiful canopy and a great way to repurpose those old curtains and give your bedroom a stunning makeover at the same time. I love the idea of repurposing those old curtains into a new table runner. I must admit, I’m sort of a table runner junkie. I have so many for so many seasons and occasions and some of them are upcycled from fabrics that I would have otherwise thrown out. Curtains are actually the perfect thickness for a table runner and they come in such beautiful designs. If you have several curtains to repurpose, you could sew some valances to match your new table runner. Those old valances are perfect for making a nice wraparound apron. If you have an old kitchen valance, that’s really perfect. 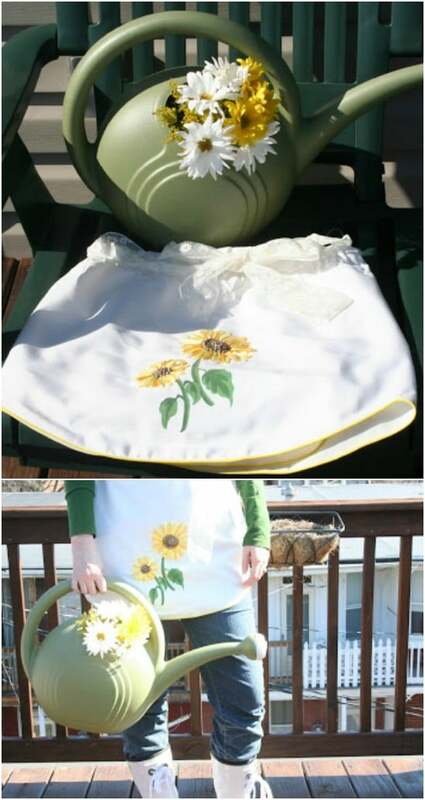 Those kitchen valance colors and designs will make beautiful aprons and this is a really easy project, too. You just have to thread a ribbon through the top part of the panel and use that to tie the apron together. Depending on how long the panel is you may have to cut and hem a bit, but it’s still a really easy and pretty quick project to complete. You can make lovely sets of matching cloth napkins from those old curtains – and this pairs beautifully with the DIY table runner that you can also make from your curtain panels. Just decide what size you want the napkins to be, cut and hem. You could also probably use fabric glue to create the hem if you don’t want to haul out the sewing machine for this one. 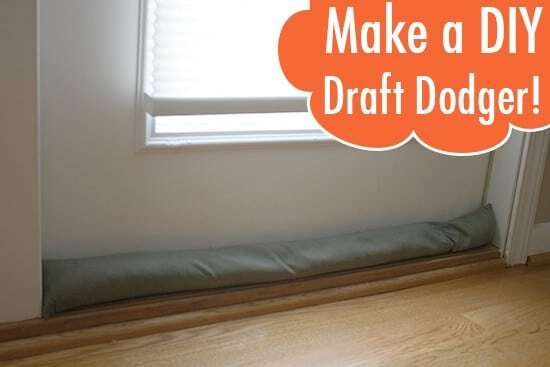 Put those old curtains to great use by using them to make this draft stopper. This is a great project for thicker curtains – the thicker the fabric, the more cold air you’ll stop from getting in under your door. You can use any number of things to fill it from sand and cat litter to rice. Just create a tube with the fabric and then fill with your chosen filler. You’ll stop those cold drafts and save money on your energy bill, too. Whether you’re decorating for a holiday or special occasion or you just want a nice garland to add to your home décor, you can use those old curtains to make it. Just cut your curtains – and this works better with colorful or decorative panels – into strips and then tie them all together with twine, rope, or even strips of burlap. This is a great rustic decorating hack that is as easy as it is beautiful and it’ll only cost you an old unused curtain panel. This gorgeous market bag is actually made from an old curtain! I love how easy this one is to make and thick curtains are perfect for this project. You can reinforce the seams and make it really strong so it’s perfect for shopping or even use it as a beach tote or large purse. Isn’t it amazing what you can turn those old curtains into? Repurposing projects really are the best things! My kids have been building blanket forts for years, which is why I really love this kids’ fort from old curtains idea. 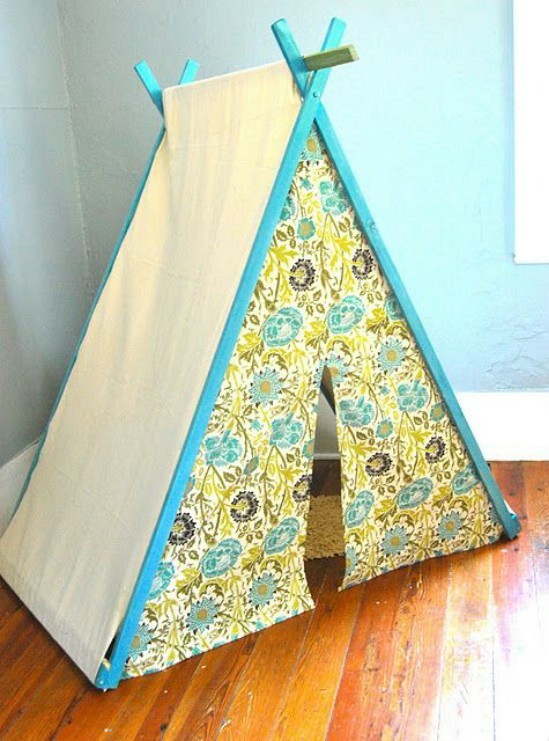 Instead of building and then taking the fort down – since we need the blankets for other things – you can turn those old curtains into a teepee or fort and leave it up for them to play with whenever they want. It’s a great way to repurpose those curtains and give your kids a new toy at the same time. This is actually a project for turning a shower curtain into artwork but you could totally do this with a regular curtain as well. Take that decorative curtain and make something for the walls that will absolutely wow everyone who enters your home. You just build a canvas behind your print and then hang it up. You could also cut the curtain and frame the fabric to create artwork – this is a great idea for kids’ curtains that may have cartoon characters on them or even seashell curtains to make artwork for the bathroom. I’m blessed to have wonderful closet space in my house and that includes great doors. However, not everyone has doors where they need them which is why this closet door from curtains idea is so brilliant. You can just hang curtain rods across the top of your closet doorway and then cover that opening with curtains. Add some burlap strips or twine to the sides and you can easily tie your curtain doors out of the way when needed. These handmade pillow covers are perfect for adding a bit of color or comfort to the bedroom or living room. 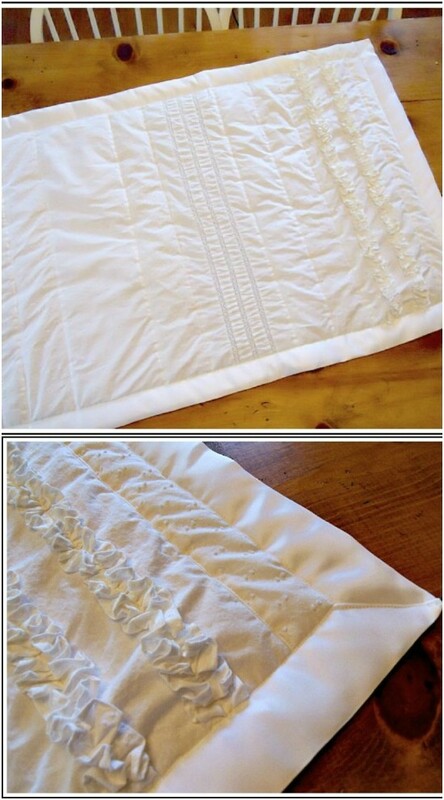 Take those old curtains, cut them to size, and create covers for your pillows quickly and easily. You could do this with all of your old curtains and have the right color or design for every time you want to change the bedspread or curtains. Just a bit of sewing is required and then you just add your pillows. 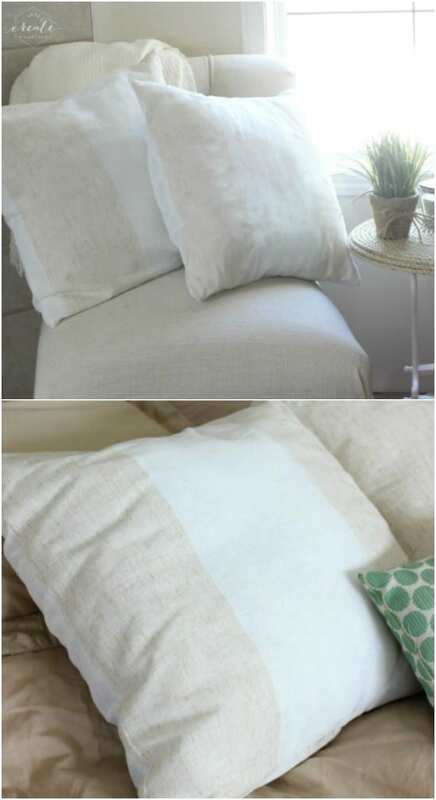 Just a bit of sewing and stuffing, and you can make these amazing cushions from your unused curtains. This is a great project for curtains that have really bold designs or really bright coloring. Bright colors will look much more subdued in smaller sizes and cushions for your outdoor furniture or dining room chairs is the perfect way to add a little color without being overwhelming. You can make so many things with fabric yarn. Whether you crochet, knit, or have another method of using it, fabric yarn is great and you can make it from those old curtains. Note that you won’t be using heavy lined curtains for this one, but those semi-sheers or other materials will work beautifully. 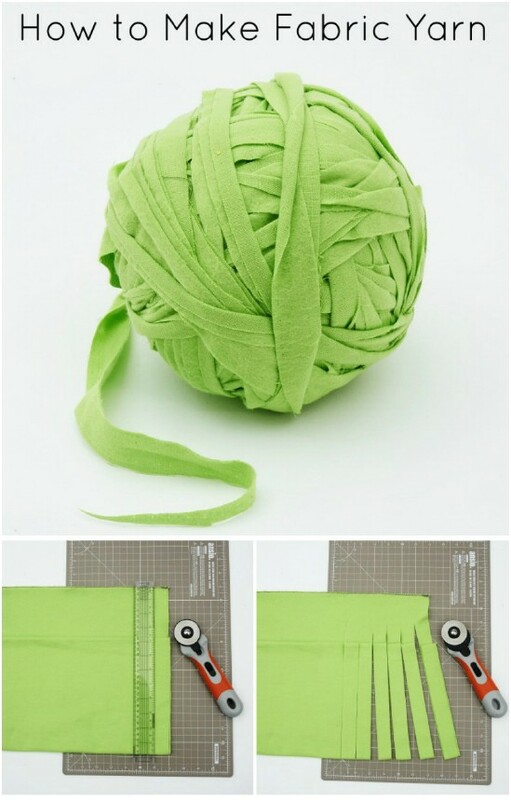 Just cut into strips and roll into a yarn ball. Then use your fabric yarn to make any number of wonderful things. I adore slip covers. They are honestly the easiest and least expensive way to give your living room a whole new look. The fact that you can make slip covers from old curtains just makes them that much better. 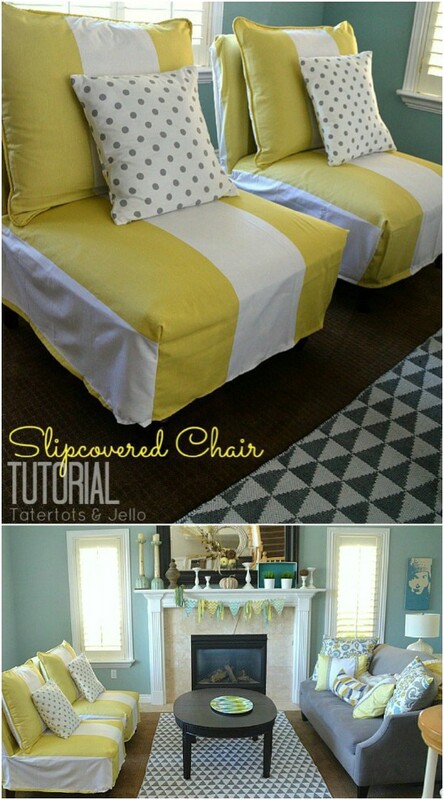 This project is easiest for covering straight backed chairs with no arms but you can totally make slip covers for all sizes and shapes of chairs, love seats, and couches. You can turn a boring bulletin board into quite the work of art with the fabric from an old curtain. You could even make your own bulletin board and use the curtain to cover it. You’ll need a foam board, which you can get at craft or office supply stores for around $10 or less. 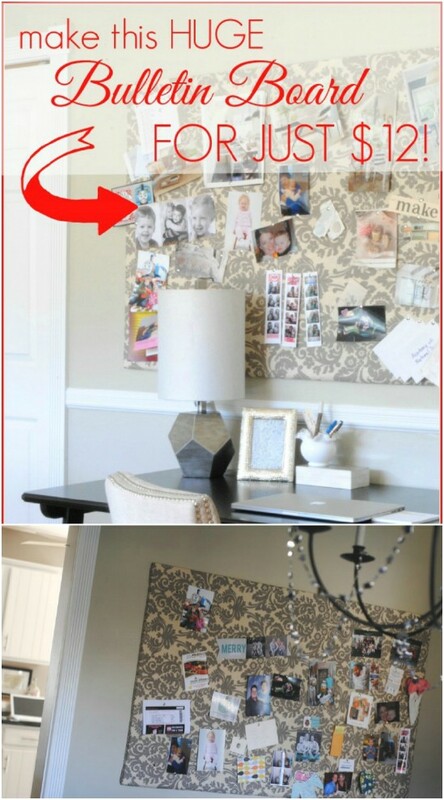 Then just cover the board with your curtain fabric and use staples, fabric glue, or even upholstery tacks to secure it. Make a fantastic fabric shower curtain from two regular curtain panels. 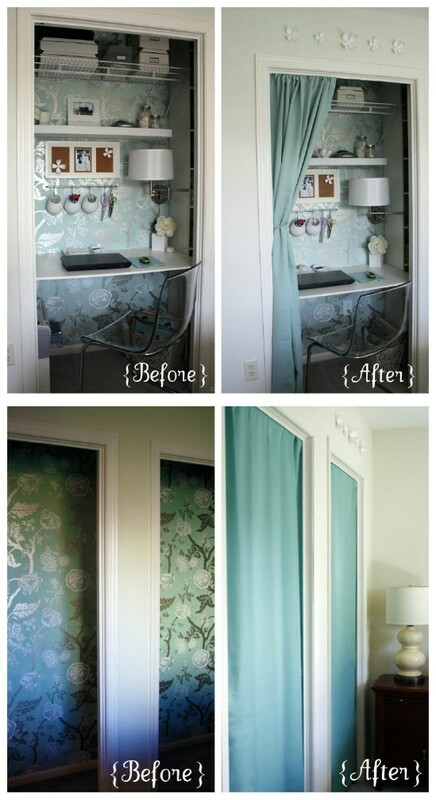 This is a wonderful idea for those times when you really can’t find the shower curtain that you want but you notice the right color or pattern in a regular curtain. This is also a good way to get matching curtains and shower curtain if you can’t find the right theme in a set. 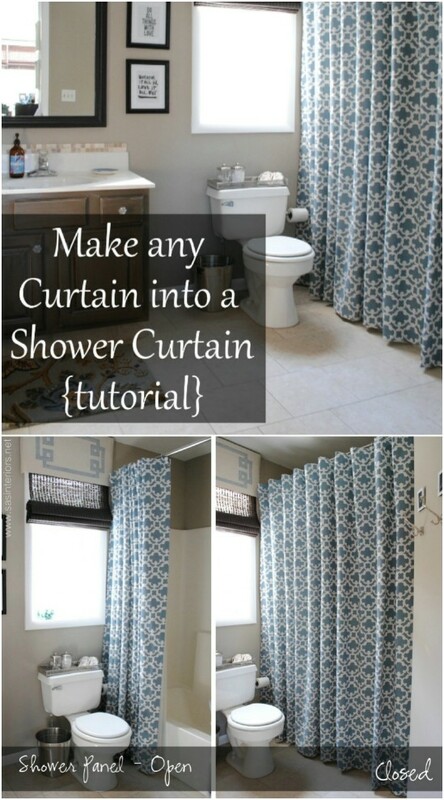 Curtains can easily be made into a shower curtain and it’s a nice way to put those older curtains to good use. I love headboard projects – they’re the perfect inexpensive way to get some redecorating ideas for the bedroom. 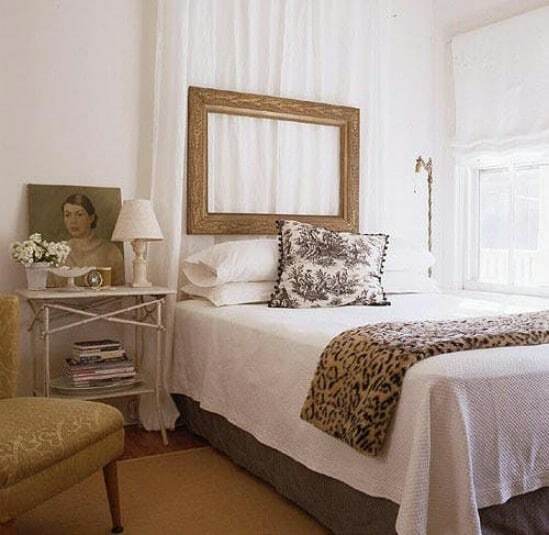 If you have a set of curtains that you want to repurpose, you can turn them into a beautiful DIY headboard. You just hang the curtains behind the bed and then hang a heavy frame in front. It gives the illusion of the frame just floating off the wall and is a really gorgeous look when it’s finished. Traditional room dividers can be pretty expensive. Save yourself some money and make that room really unique by turning an old curtain or two into a room divider. You can attach a curtain rod to the ceiling and hang your curtains right from the ceiling. This is a good way to offer some privacy in an otherwise large room. You could separate the space without actually having to build an addition or divider. Instead of throwing those curtains out or worse, putting them away in a closet to be forgotten, use them to make a quilt. From baby size to king size, you can cut strips of fabric from your curtains and use that fabric to create beautiful blankets. 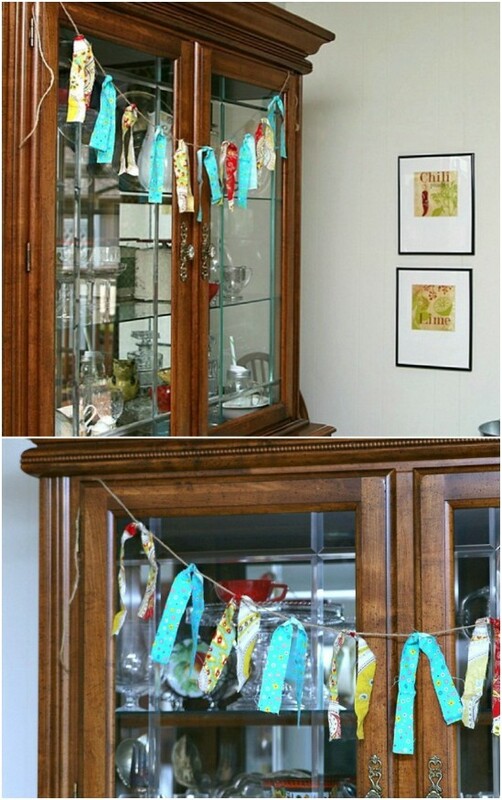 This is such a wonderful way to breathe new life into old curtains and it’s the perfect repurposing project, especially if you’re looking for a unique gift for an upcoming birthday, anniversary, or baby shower. Cut up those old curtains and turn them into gorgeous rustic roses. Then, use those roses to make any number of things from curtain tiebacks to hair bows and picture frames. I love the idea of repurposing curtains into décor, especially rose décor. The roses are so easy to make and you can use them to decorate anything in the house. They’re especially beautiful on pillows – and, you can use different curtains with different colors and designs and create a really unique look. So glad to see sites as these…Keep repurposing and be happy!! !